I think this is my favorite post....ever. The idea of a sandbox hospital is brilliant! Especially when you consider the high stakes environment that physicians (& nurses & midlevels &...). It's no wonder we all fear and resist change, just the thought of having any more friction gives me reflux. As a result of my training I've been to a number of hospitals and I've witnessed two roll-outs of the EMR. The first was a complete success and guess what, they used a sandbox hospital as a starting point. It was an impressive turnover to say the least. Within two weeks the entire hospital was running full tilt without so much as a whisper of complaint from the staff. The second was miserable and continues to be miserable. Basically, the entire hospital was left high and dry. The EMR is a complete disaster because no one tested it before it was rolled out. Just another hoop to jump through. We shouldn't have to fight so hard to work within the healthcare delivery system. We are doctors....the hospital should be working for us! The hospital should be a toolbox, not an obstacle. I'm not saying that we shouldn't continue with the surgical culture of personal accountability (that's a whole other blog entry) but personal accountability shouldn't involve systems issues....unless we continue to fail in fixing the system! 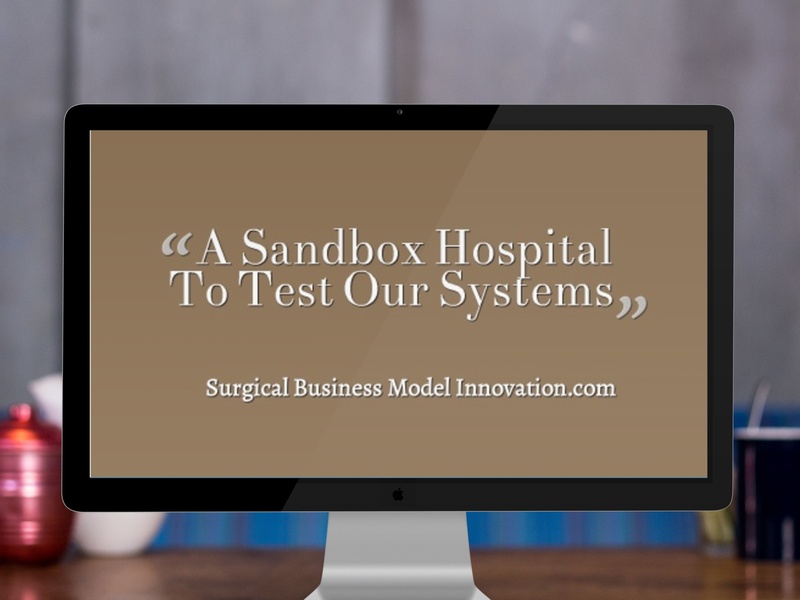 Can you tell me more about how the first hospital used a sandbox hospital? What did it look like? Basically they duplicated the entire hospital into a test hospital....when staff were trained they used familiar clinical situations to test the EMR & troubleshoot. It also helped formulate useful order sets prior to the rollout. Probably the smoothest transition to EMR possible!